As the climate starts to cool down we all start to be aware of the coldness and consider purchasing warmer attire and heating our home to stay comfortable and healthy. You'll note I mentioned the word "healthy," because reduced home heating can adversely have an effect on a person's physical condition, particularly if he or she already has a respiratory health condition. Children and the elderly are often more at risk when a simple chill develops into a more dangerous health condition. For that reason alone, effective house heating is essential. It not only keeps us warm and comfortable, it can also help to keep us healthy. There are several types of house heating systems to choose from, and not every system will match every home. The kind of heating you select will depend on the needs of your family. Any assessment will need to take into account several factors. Whether your home is adequately insulated (after all, it might be sensible to start by remedying heat loss via walls, doors, windows and floors to begin with). Do you want instantaneous heat? Will you be looking for all-night heating or just at certain times? How environmentally friendly do you want your heating to be? How cost-effective does it need to be? Yes, there are countless things to contemplate when deciding on the best home heating system for your family. Now let's look at some of the numerous options available. First of all, if you have an older home with a fireplace you may want to get the smokestack swept and burn coal or logs to be warm. Open fires are nice to sit in front of, but they have disadvantages also. They necessitate regular cleaning and somebody will have to chop the wood, or transfer the coal inside. Are you happy using fossil fuels, or would you want something more environmentally friendly? Some folk install modern heating systems to wedge neatly into the space occupied by an old fireplace. It is worthwhile noting that some heating systems give off fumes, smoke, and/or dry out the air. I can still think of the kerosene vapors from the heater my Mum used when I was a child. Is under floor heating worthwhile considering? 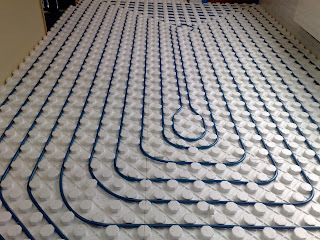 Under floor heating is now more popular particularly with those constructing or renovating homes. The setup requires a boiler to heat hot water which can then be circulated to radiators, baseboard units, or to radiant heating tubes placed underneath the floor. 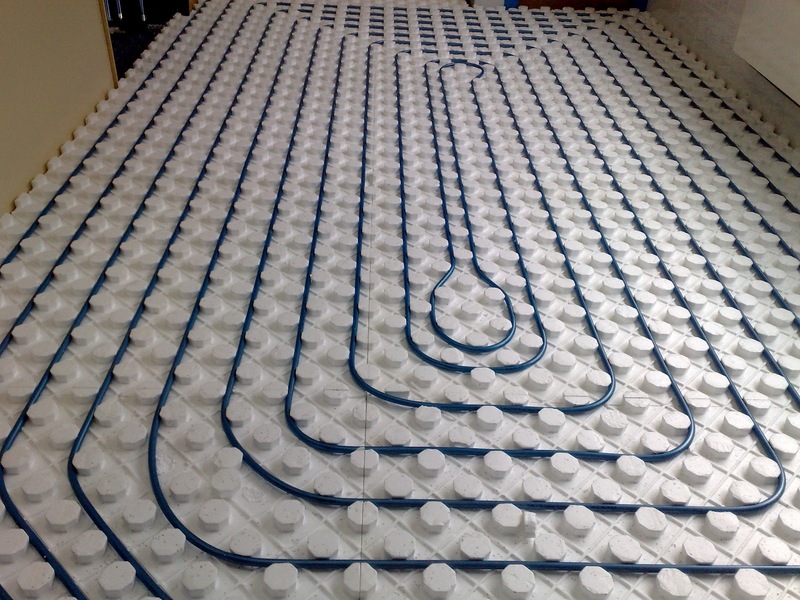 Under floor heating warms rooms from the ground up and is generally very efficient to operate. Under floor heating is also hidden and won't take up any space. The systems are generally better operated at a low consistent heat, rather than switching them on and off to produce bursts of heat. Are other systems worthwhile considering? Some home owners choose gas fires, or electric plug-in heaters, but they can be costly to operate and are not essentially the most economical way to heat your home. Portable heaters can be very hazardous if they tip over or come in contact with furniture, furnishings, curtains, or garments. Accidents do happen. Central heating is one more possibility. You really need to decide how many rooms you want to heat and if you want a consistent heat in each room. What do you need to do before purchasing a home heating system? First of all, don't simply rush out and purchase a new radiator for your home, as is might prove to really uneconomical and inadequate. Nevertheless, if you are just renting a home or apartment, then a portable electric fire might be a short-term heating solution. Find out about the numerous heating options and the benefits and disadvantages of each system. You'll then be well-informed to make a good decision on the most appropriate system for your circumstances. You'll want to debate the preliminary installation price tag with the ongoing expenses of running each system. You will want to look at the efficiency of each heat system in terms of heating output and heating loss. House heating is not cheap, and purchasing the cheapest may prove to be a false economy. Some systems cost you more upfront, but end up being cheaper in the long-term. I personally like a home that is warmed equally rather than all the heat being focused in just a solitary room or on one wall. Under floor heating systems can be more pricey (but not always), but they distribute the heat equally throughout a home from the floor up. That's why I personally fancy water underfloor heating. After doing your exploration you'll then be well-versed enough to contact some established heating specialists to chat about options and prices. Knowledge is power, so you'll be able to ask the right questions and select the right heating solution for your home. About a month or so ago, my heater in the basement of my house stopped working. I called a service expert and he told me it was time for a new one. I have been doing a lot of research on what the right type of heater would be for the size of my home. There are so many different things to think about! However, your post was very informative and helpful. Thank you so much for helping me get closer to my decision. Thanks for posting this information. I truly know nothing about heating but I have wondered what are the major differences between companies in the east and companies in Markham and their heating? I need to do more research on this subject because sometimes I feel really lost. Thanks again for keeping me informed. How good is markham heating? I've heard a little bit about it, but I'm interested to know more. One of my biggest financial worries in the winter is my heating bill.I think your suggestion is right for me. You have provided us a quality information about the good heater. Thanks for your great work. Hi, I commend a good article article of yours. Just my opinion, I'll choose a tank less water home heating for home. Less maintenance and less sludge worries to think of. if you choose our underfloor heating packs then you'll also need to factor in the cost of insulation board, screed and heating controls, as well as an electrician's call out and labour charge - our tradespeople costs guide has some typical jobs and charges to use as a benchmark for underfloor heating packs.